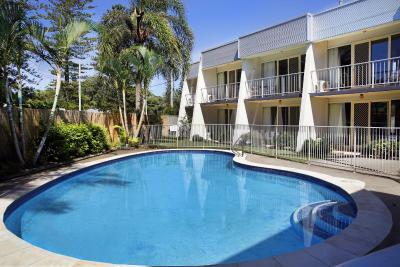 Lock in a great price for Yamba Sun Motel – rated 9 by recent guests! The team was welcoming and pleasant. Cannot fault our stay and enjoyed it immensely. Fast and easily accessible wifi. Very friendly reception staff. Central location, walking distance to shops/beaches etc. The staff / owners were absolutely wonderful some of the nicest people we have met with all our stays around the country. Highly recommend you stay here, i will defiantly be back. Rooms were lovely, pool was a great what can i say, we loved our stay. A nice place for a stopover. Nice walks nearby. Walking distance to local shops. Great property. Super friendly staff, beds so comfy, very clean. Would recommend. The female staff member, and I'm guessing owner was amazing. So friendly and willing to help. There was a group of us staying for a swimming competition. She collected our beach towels after day one and dried them all, then after day two she washed all of our beach towels as well as drying them. Would definitely stay again - she left a great impression! Very spacious. Bed was on wheels so it moved a bit but still very comfortable. We stayed in the two bedroom apartment it was very spacious and clean. 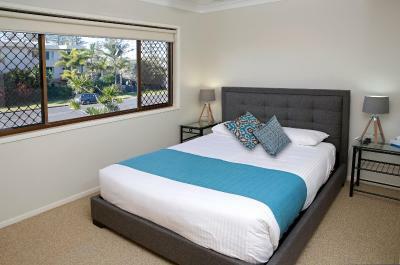 Yamba Sun Motel This rating is a reflection of how the property compares to the industry standard when it comes to price, facilities and services available. It's based on a self-evaluation by the property. Use this rating to help choose your stay! One of our top picks in Yamba.Free Wi-Fi and free car parking are on offer at Yamba Sun Motel. All rooms have a private balcony. Facilities include an outdoor swimming pool and barbecue facilities with outdoor seating area. Each room at Motel Yamba Sun includes cable TV, air conditioning and a private bathroom. Tea/coffee making facilities and a refrigerator are also provided. Some rooms feature kitchenette facilities. Breakfast is available each morning. The shops, cafes, restaurants and bars of Yamba town center are 1,950 feet away. It is 2,300 feet to the marina at Yamba Bay. Main Beach is only 0.6 mi from the motel. This property is also rated for the best value in Yamba! Guests are getting more for their money when compared to other properties in this city. When would you like to stay at Yamba Sun Motel? This air conditioned room offers a private balcony and a flat-screen TV. It also features a microwave, toaster, tea/coffee making facilities and biscuits. This air conditioned room offers a private balcony and a flat-screen TV. It also features a kitchenette with a microwave, toaster, tea/coffee making facilities and biscuits. Covered parking is provided. This air conditioned apartment offers a private balcony and 2 flat-screen TVs. It also features a kitchenette with a microwave, toaster, kitchenware, tea/coffee making facilities and biscuits. This apartment features air conditioning, kitchenware and balcony. Our Yamba Sun Motel is conveniently located close to many shops, restaurants and cafes. A pleasant river walk is only about 100m away and a stroll to the lighthouse on the headland overlooking the surf beaches, only 3 blocks. A great area to relax and unwind. House Rules Yamba Sun Motel takes special requests – add in the next step! Yamba Sun Motel accepts these cards and reserves the right to temporarily hold an amount prior to arrival. The after hours and emergency phone numbers should be more prominently displayed. The bed was very comfortable and rooms were very clean and tidy. We thought the beds needed replacing. They are getting too old. Like the staff and the location was good for our needs. Staff extremely friendly and helpful. Beds very comfortable, free daily newspaper. Great service & location. Thanks Katie. Couldnt stay for breakfast as left early Very comfortable bed & quiet spot enabling healthy sleep Yamba Bowling Club opposite and down road a bit providing excellent Friday night food & recreation. Meat raffles were fun & we won two meat trays!! Walking distance to the town, great size and clean rooms, very friendly staff who go out of their way to ensure your stay is perfect. Will definitely be going back next Yamba visit. Milk not in fridge but was all Good we just took a drive to maccas and purchased one. nothing it was perfect for us. The air conditioner rattled all night and kept me awake until I turned it off and then the fan didn't have a knob to turn on and if went higher than 1 is would make a loud clicking noise. The pool view and the friendly welcome. It was a great location with a short walk to town.